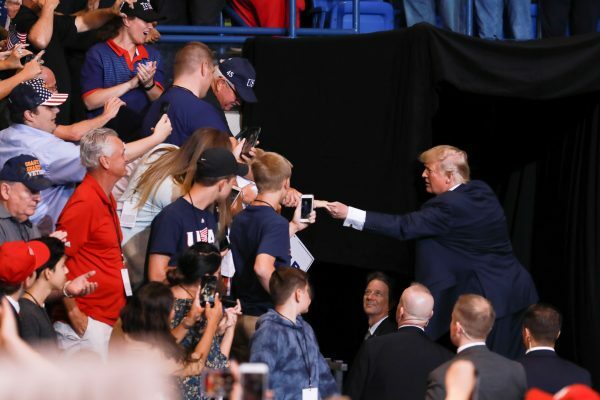 SCRANTON, Penn.—President Donald Trump is ramping up the frequency of his “Make America Great Again” rallies ahead of critical midterm elections. 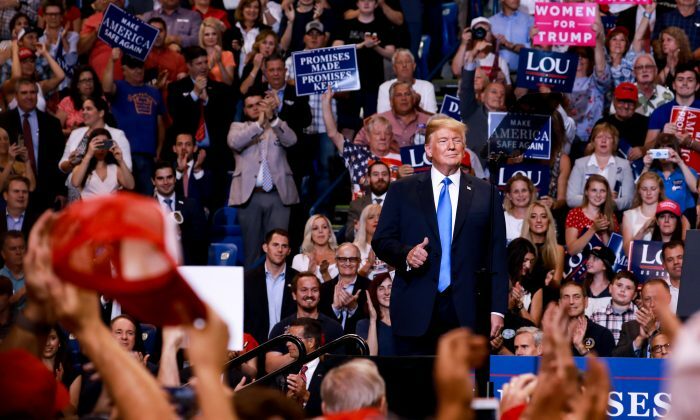 In the second of a trio of almost back-to-back rallies this week, the president attracted a packed stadium of supporters, whom he entertained for more than an hour. He invited Rep. Lou Barletta (R-Penn.) to speak, who is running for Democrat Bob Casey’s senate seat. 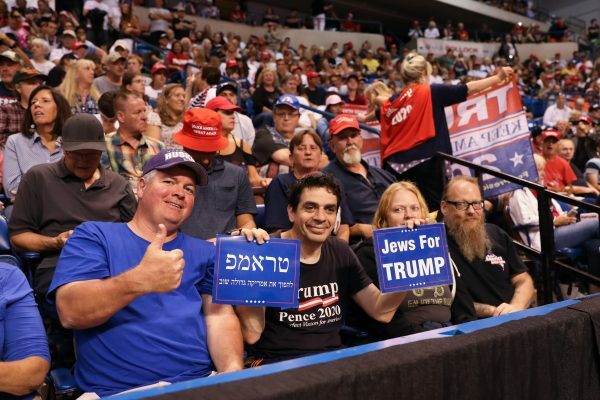 Undeterred by the media outcry after the Tampa, Florida, rally, where CNN was heckled, Trump lambasted the media throughout his speech. He said many media reports suggested he should have gone in and had a “boxing match” with Putin. Trump continued with several examples of what he called unfair coverage, ranging from election night, to the Mueller probe, North Korea, and his meeting with the Queen of England. “Whatever happened to fair press? Whatever happened to honest reporting?” he said. 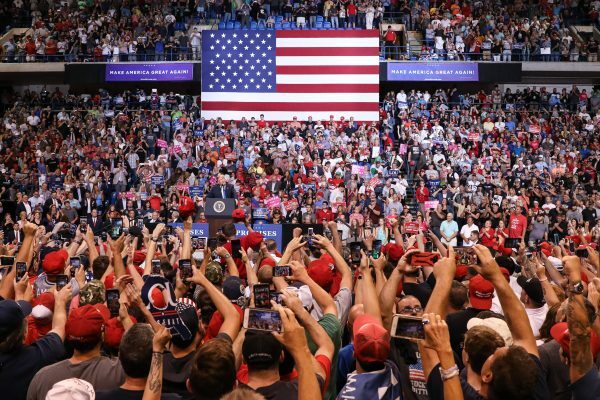 A June 2018 poll from Axios and SurveyMonkey found that 72 percent of Americans—Republicans, Democrats, and independents—believe that “traditional major news sources report news they know to be fake, false, or purposely misleading.” Surveys conducted by Pew Research and Gallup have found the same. 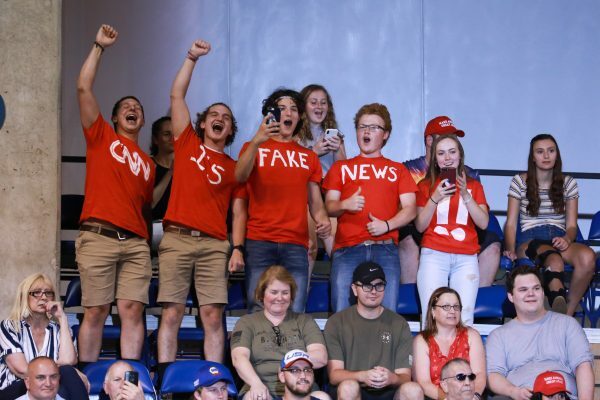 The poll found that 92 percent of Republicans and conservative-leaning independents think legacy news outlets are intentionally reporting fake news. About 53 percent of Democrats agreed. Trump amped up the crowd with talk of steel and coal. He said the state lost 300,000 manufacturing jobs; many after China joined the World Trade Organization at the end of 2001. “We got ripped off. It was a massive, massive transfer of wealth to other countries,” he said. “The politicians just watched as other countries sold our jobs, plundered our wealth, and looted the crown jewels of the American economy. On immigration, Trump vowed to continue cracking down on the violent MS-13 gang. 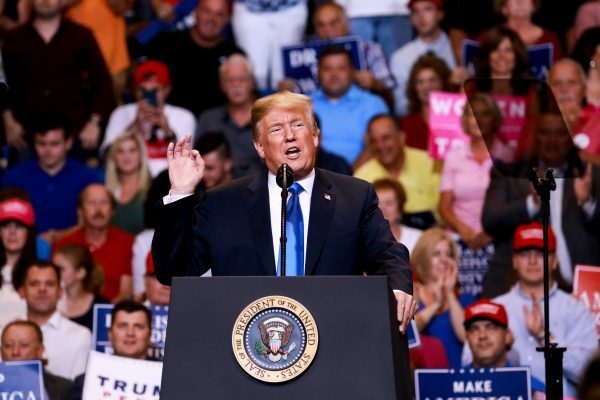 He reiterated his intent to end chain migration, the visa lottery, and the practice of catch-and-release. Trump said he’d like to get border security and the wall sorted before the elections, but some Republicans are suggesting to wait until after. 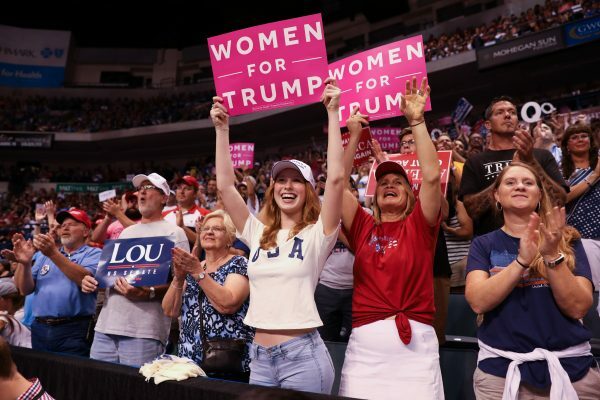 At one point during the rally, Trump stopped and pointed to a woman near the front of the audience and asked if she was OK.
“We’ve got to look after our own,” he said. He asked staff to bring the woman back when she was feeling better and he’d bring her up on stage. However, she didn’t reappear.